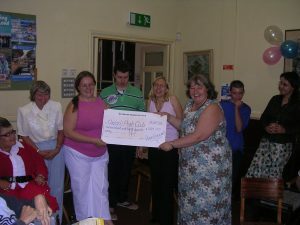 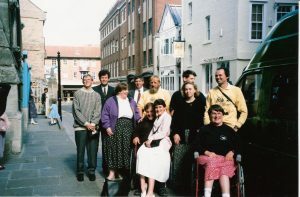 Moonrakers did a concert at Wesley Memorial, in aid of its Open Doors project. 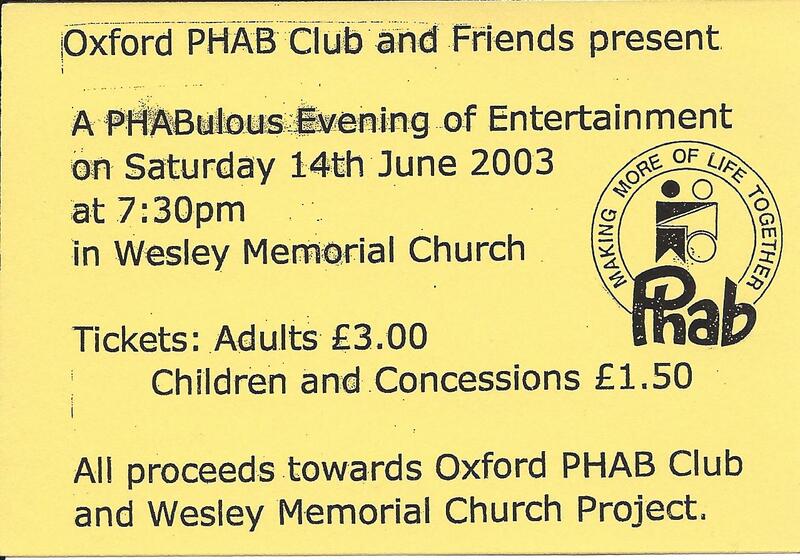 It was enjoyed, not just by Phab, but by many members of the church and Moonrakers fans who came to hear them play. 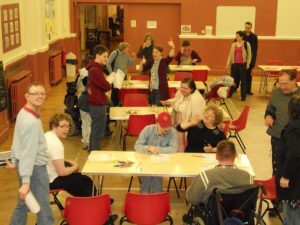 On Friday 27th April we held a Beetle Drive, in conjunction with the John Wesley society, in aid of the Wesley Memorial Open Doors project. 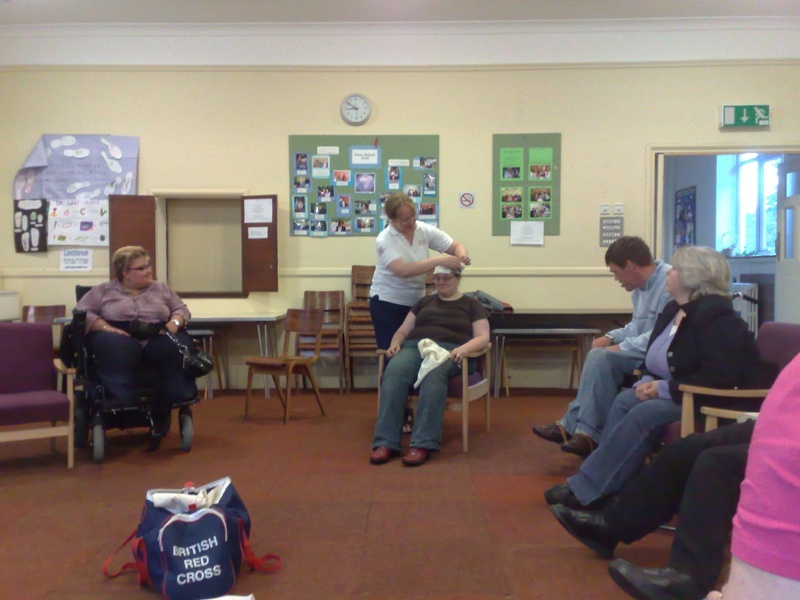 The evening gave Phab members and JWS and church members a chance to socialise, and get to know each other a little. As well as playing Beetle, we ate hot dogs, and Beetle Biscuits. 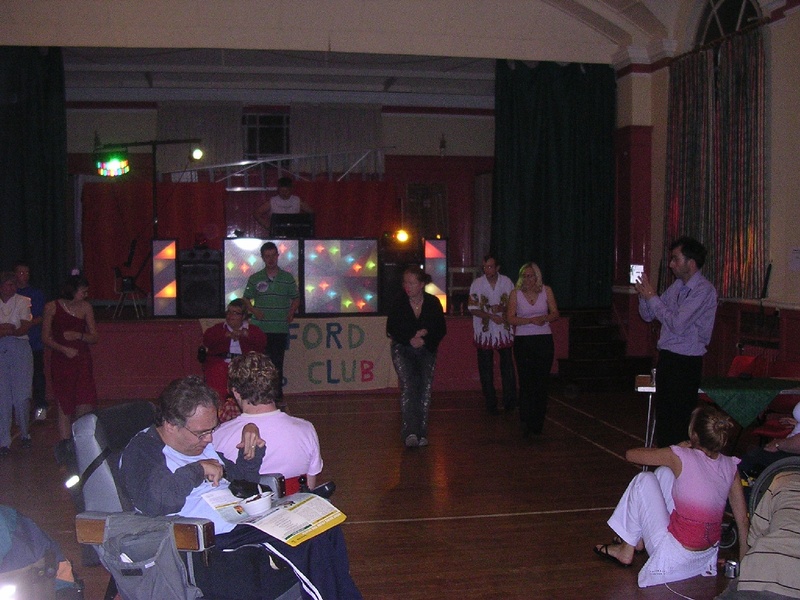 There were prizes (of chocolate bars) for the best drawn Beetles. 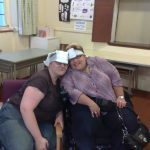 Unfortunately the prize for best Beetle costume went unawarded this time, so someone missed out on even more chocolate. 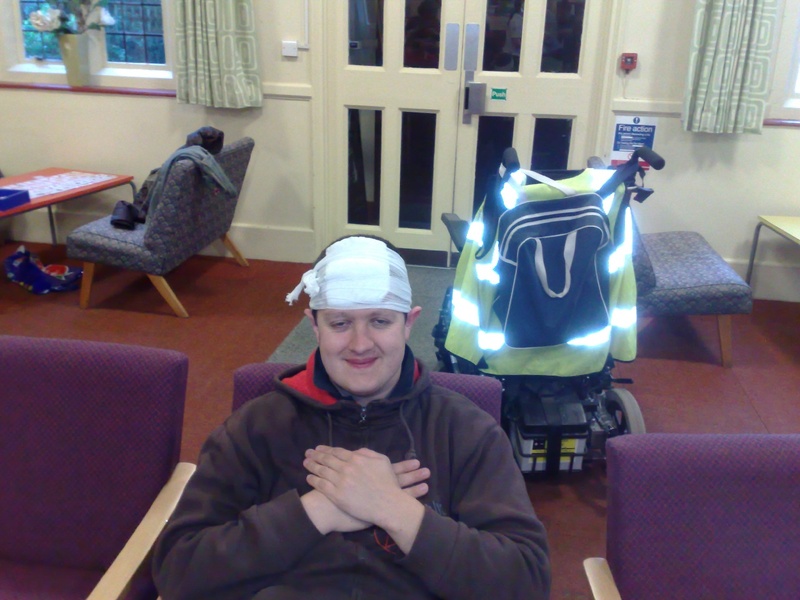 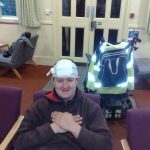 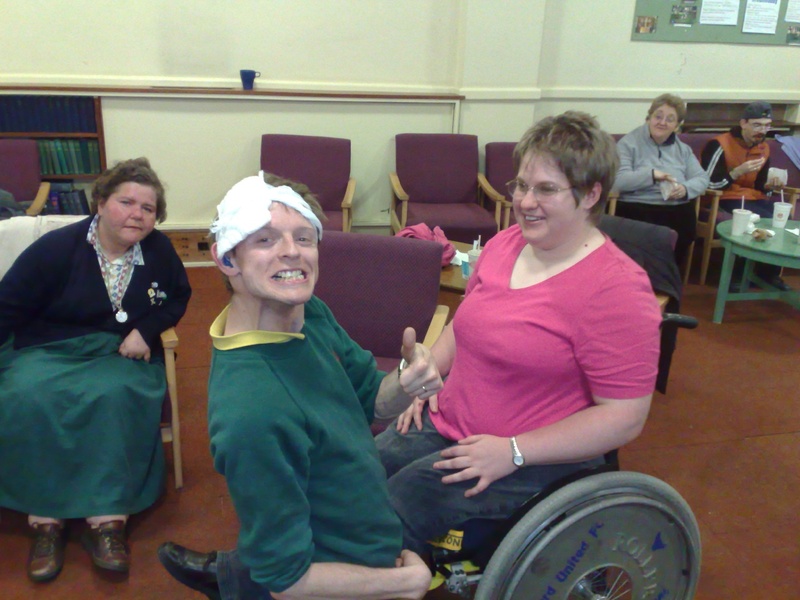 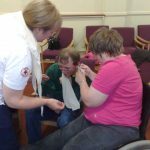 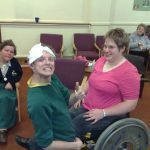 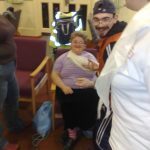 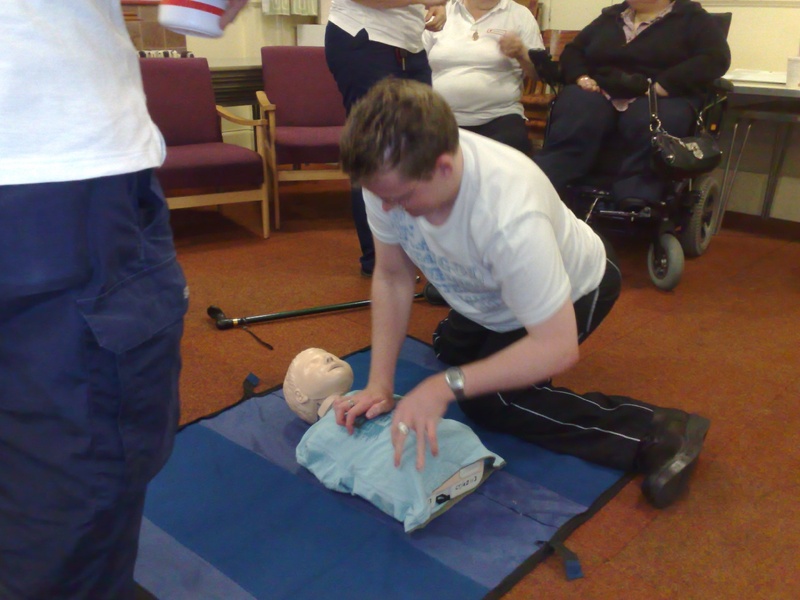 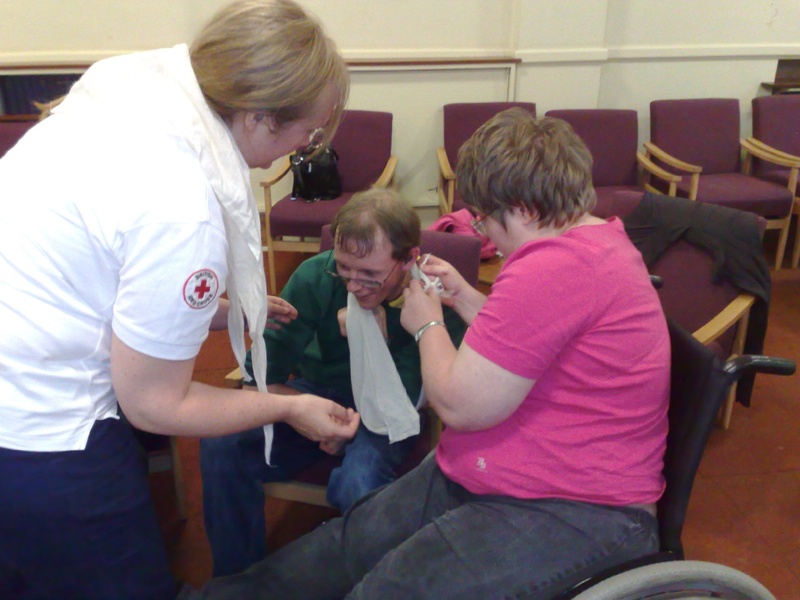 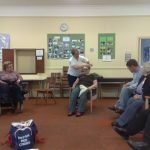 We had an evening of First Aid Training. 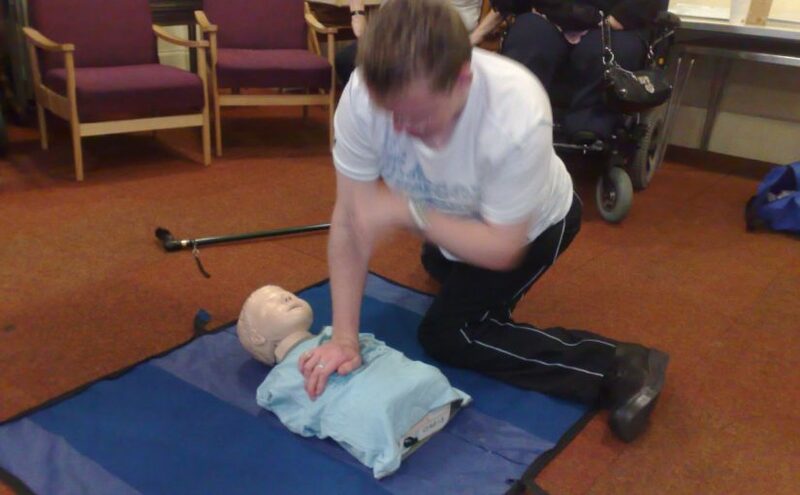 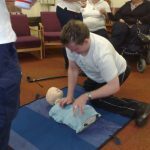 We learned how to put someone into the recovery position, how and when to apply basic cardio-pulmonary resuscitation CPR), how to report an emergency and many other useful skills. 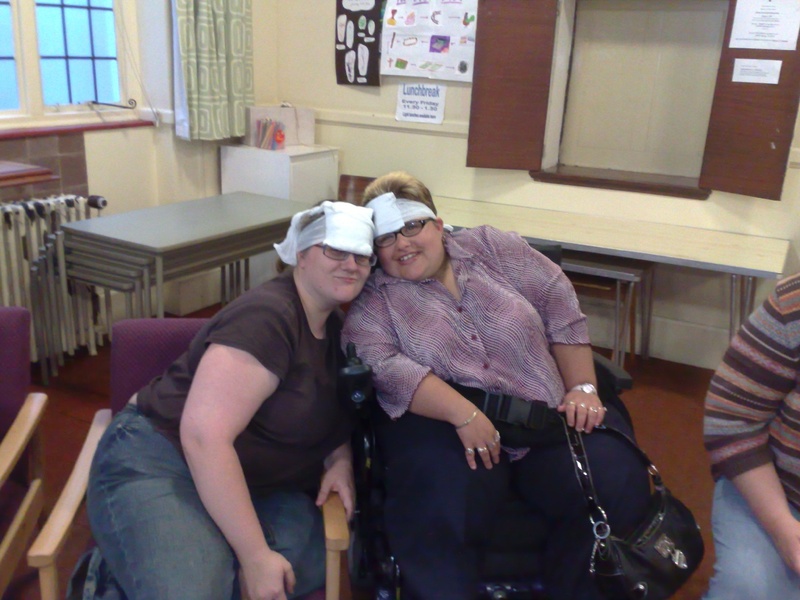 We also had a lot of fun ! 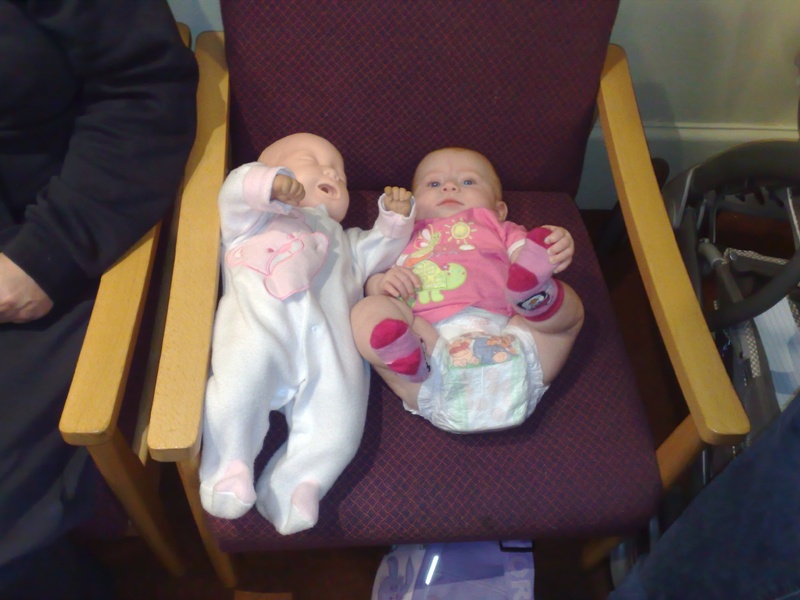 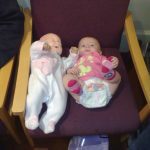 There is a special Resusci Anne for babies. 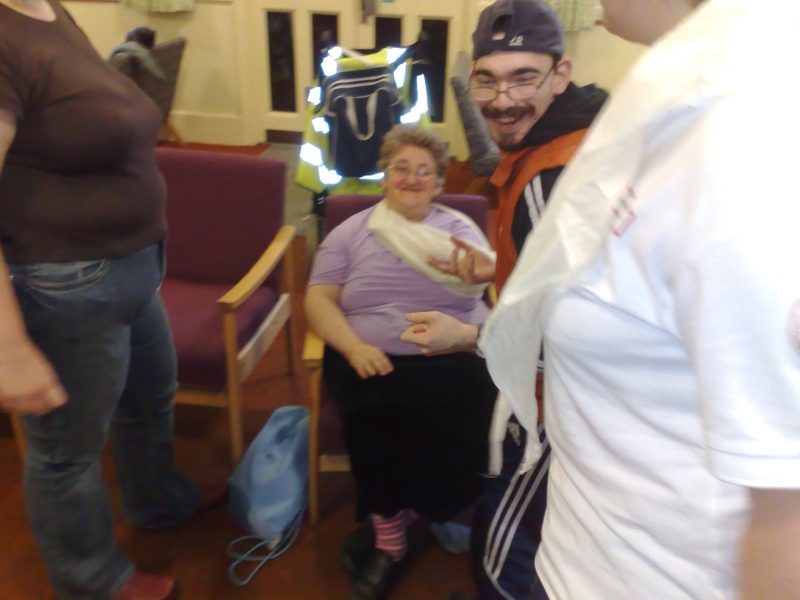 And two more – by the end of the night we were starting to look like a plague of mummies ! 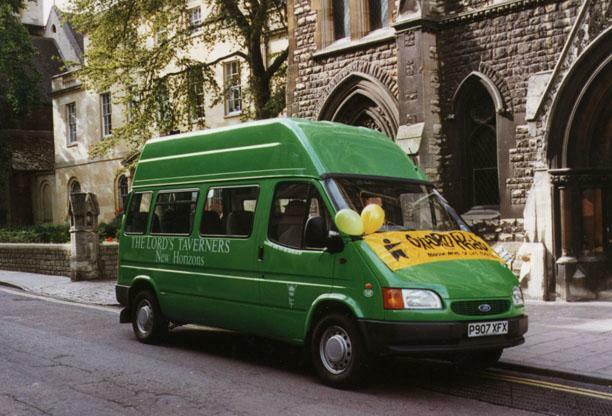 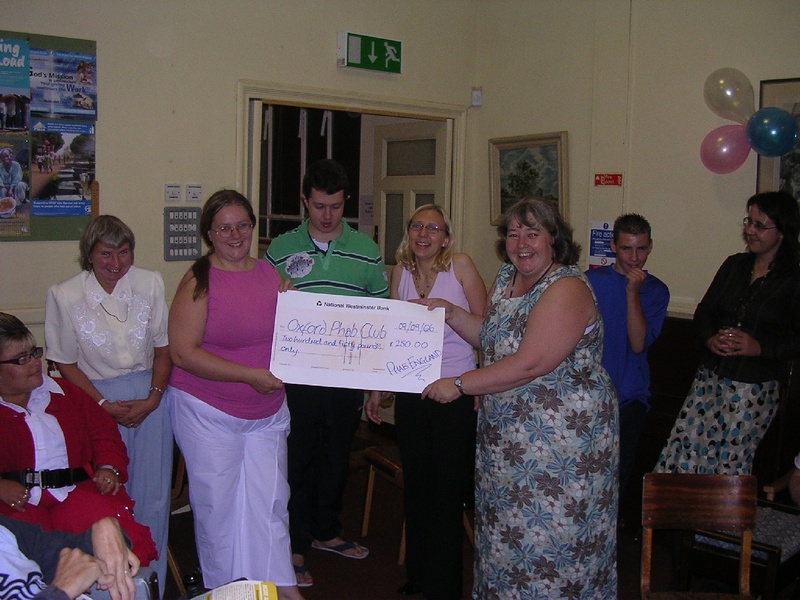 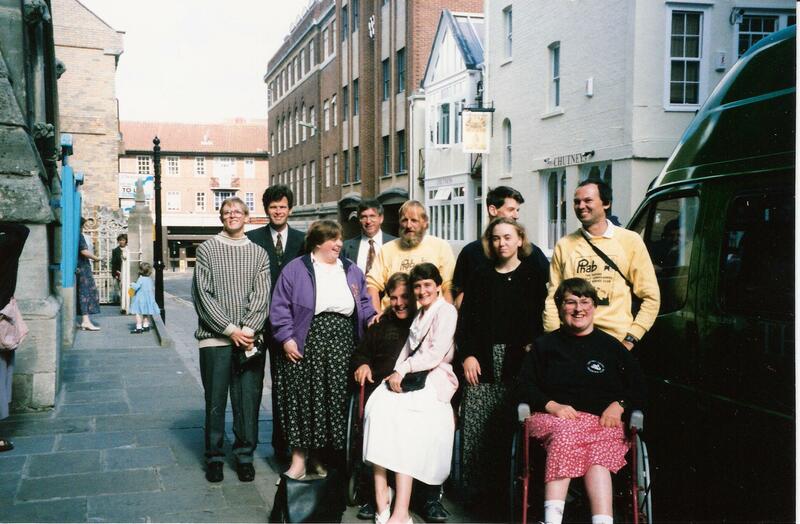 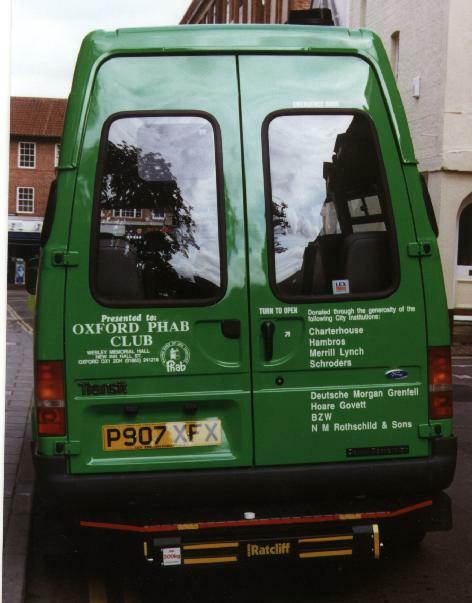 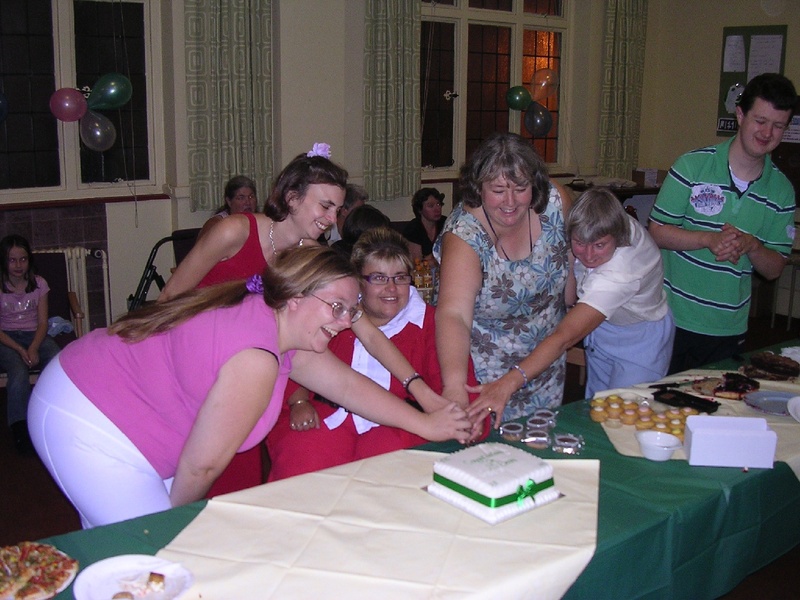 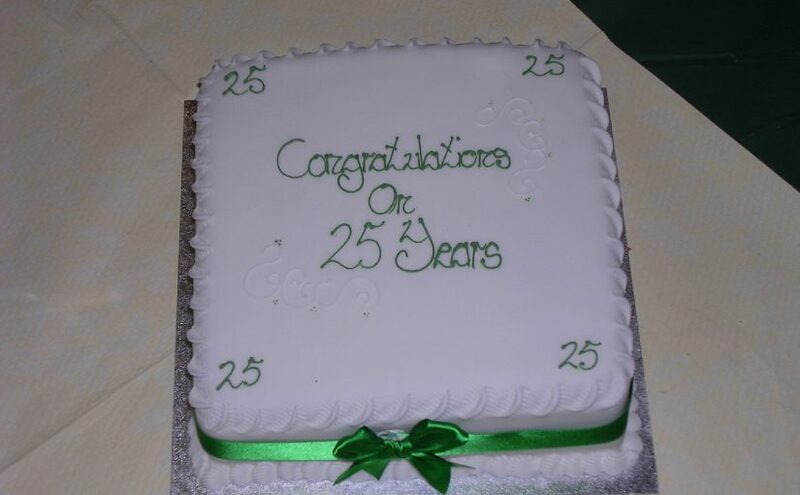 Oxford Phab has been running for 25 years ! We had a party to celebrate. 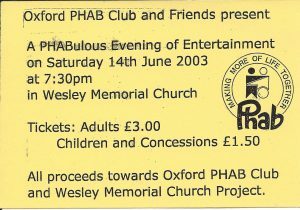 After many nights of rehearsals, we produced our Phab concert on Saturday 14th June. 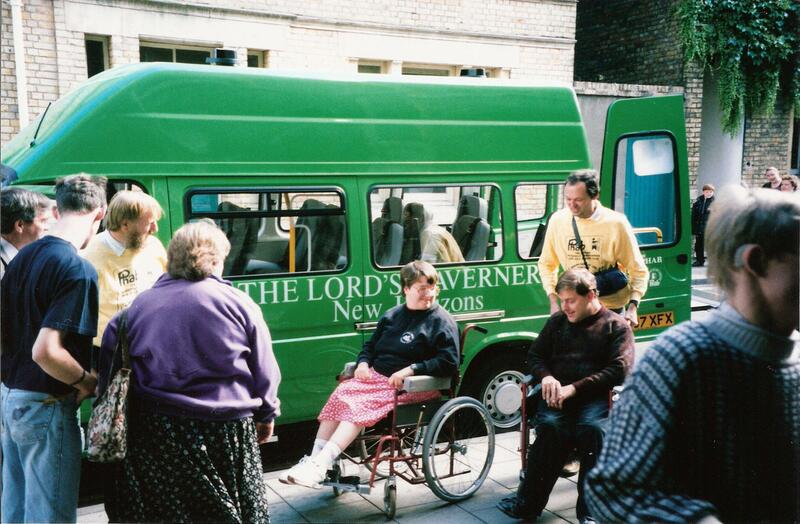 We had a service of blessing and a party at Wesley Memorial to celebrate the arrival of the new Minibus. Here it is parked outside the church. 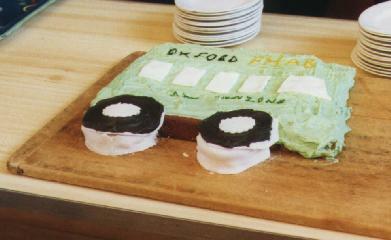 The party featured a special minibus shaped cake ! 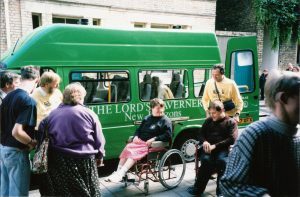 All aboard the new minibus !